Africa boasts an exquisite blend of outdoor pursuits and once in a lifetime wildlife encounters, but it is also a great choice for beach getaways. Planning your holiday to include both an exhilarating safari experience with time to relax on Africa’s idyllic beaches is a perfect combination. Here are some ideas guaranteed to get you dreaming of golden sands as well as sunsets over the Savannah. Tanzania is undoubtedly one of the most popular safari destinations, and it grows in stature year upon year. The Serengeti is largely viewed as the jewel in the Tanzanian and Kenyan crowns. While it is an idyllic spot to search for the ‘big five’, it also provides the backdrop for the annual wildebeest migration, following the journey of thousands of animals as they travel from the Serengeti to the Masai Mara in search of lush grasslands. Both countries have adapted to cater for large numbers of visitors and as such, a host of accommodation options to suit all budgets are available, whether that’s for a romantic trip for two or a family adventure. The expansive ecosystem is home to the Serengeti National Park and a number of a game reserves. An array of safari experiences are on offer, including traditional game drives, walking safaris and even hot air balloon safaris. Away from the dusty plains of the Serengeti, you can enjoy marvellous wildlife spotting opportunities at the Ngorongoro Crater, which provides spectacular views of creatures great and small grazing, hunting and relaxing around this natural basin. As the world’s largest intact volcanic caldera it is a breathtaking place to catch a glimpse of huge predators whilst also taking in the volcanic scenery. 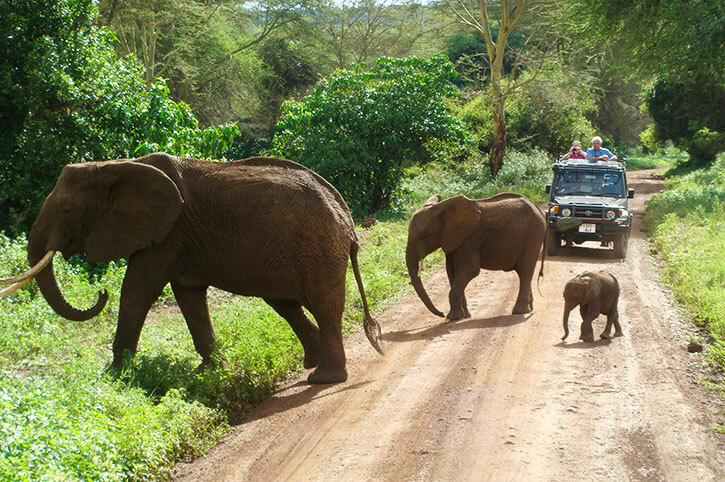 In the Manyara Region you’ll find Tarangire National Park, a reserve famed for its thriving elephant population, and where travellers can escape into a quieter, smaller park. It is also renowned for its quirky collection of baobab trees that stand at over 30 metres tall. World class safari adventures are not all Tanzania has to offer. The island of Zanzibar is the perfect retreat to relax after the thrills and spills of the Savannah plains. This tropical oasis is a beautiful place to soak up the sun, immerse yourself in local culture and recharge your batteries. Many of the island’s hotels boast private beaches and you can choose to spend your time kicking back by the pool or catching rays by the ocean. Take a break from the sun lounger and experience island life, too. Take a trip to Stone Town, the old part of Zanzibar City and explore the vibrant markets or keep your eyes peeled for hawksbill turtles, which the locals in Nungwi Beach are protecting through conservation work. The volunteers monitor their nests, taking the young hatchlings to an aquarium where they are housed and cared for until they are big enough to make the trip from the beach to the sea, giving them a much greater chance of survival. Discover our top Tanzania holidays today. Kenya is a classic when it comes to safari and beach holidays. Boasting both incredible national parks and stunning beach resorts, it includes everything from the plains to pristine sands and everything in between. 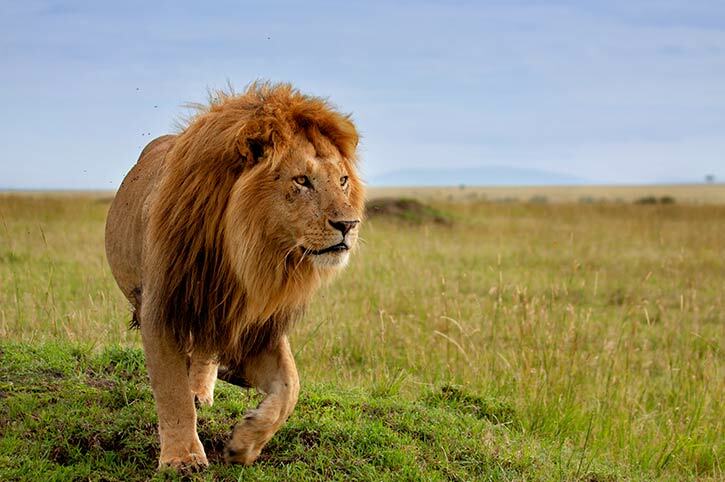 No guide to Kenyan safari and beach holidays is complete without a mention of the Masai Mara. The most popular park in Kenya is another key hideout for those hoping to see the ‘big five’ whilst also marvelling at hundreds of other types of mammal and over 400 species of birds, too. Similarly, no trip is complete without a glimpse of the yearly migration. Largely considered to be one of the most spectacular natural events, the wildebeest migration sees over a million wildebeest, zebra and antelope crossing the Mara River during the months of July and August. Travellers can enjoy an eclectic range of experiences, from game drives to hot air balloon and light aircraft safaris, providing a jaw-dropping bird’s eye view. There is also plenty of opportunities to learn about the Masai culture and to delve deeper into the interactions and relationships between native tribes and the local wildlife. A trip to Ngutuni Reserve also comes highly recommended. Here, you’ll find cheetahs, rhinos and buffalo as well as a chance to really appreciate the serenity of the Savannah. This is an ideal spot for first-time safari-goers who want a taster of the safari experience before embarking on an adventure to the Masai Mara. Located at the foot of Mount Kilimanjaro lies a small gem known as Amboseli National Park. This ecosystem is famous for its vast numbers of animals while also allowing you to take in the snow capped peaks of Kilimanjaro. Alongside the abundance of safaris lies a host of beautiful resorts to fulfil all your sunshine wishes. 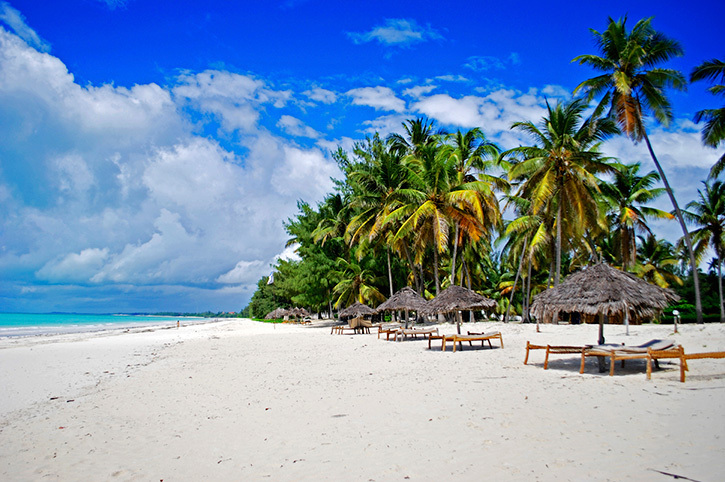 One of the most popular locations is Diani Beach, a stone’s throw away from the lively centre of Mombasa. Diani Beach occupies an enviable location on the East coast, and is famed for its glistening white sands and tranquil ocean waters. Be as energetic or as lazy as you like here: if you’re keen to put your feet up, there’s no better place to soak up the rays and switch off, but if you’re feeling a little more adventurous, there’s plenty to do. 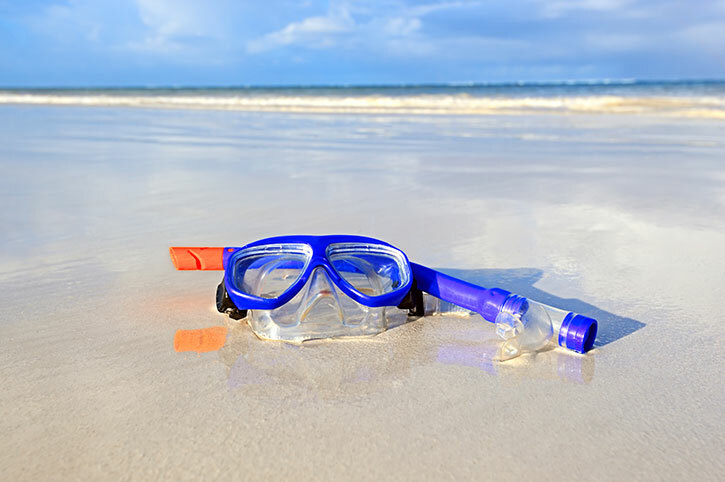 Give water sports a go, take in a spot of snorkelling in the clear ocean or even hit the greens and practice your golf swing on some of the beautiful courses around. The resort centre also boasts an art gallery as well as a large number of beach bars where you can pick up a local cocktail and enjoy it on the beach. It’s a place with something for everyone. Discover our top Kenya Holidays today. Boasting cosmopolitan cities, rugged beaches and a dazzling array of game reserves, South Africa is a place where travellers are spoilt for choice when it comes to planning their itineraries. South Africa is blessed with an amazing variety of parks and reserves, and you can choose from well known parks or lesser-known gems that are no less captivating than their larger, more high-profile counterparts. Perhaps the most famous is Kruger National Park, one of the largest and most famous reserves on the continent. Located in the North East of the country, Kruger spans an area covering almost 20,000 square kilometres. This is a park known for its dense and diverse wildlife population. As well as the infamous ‘big five’, you’ll find antelopes, giraffe, zebra, vultures, eagles, cheetah and the African civet, a unique native to Kruger. A range of tours and encounters are on offer, and you can choose from group tours, private drives and walking excursions. For an extra special moment, book a sunset drive to enjoy with a partner or to create a memorable family moment. Kruger attracts a huge amount of attention but it’s certainly not the only option available for a South African safari holiday. The Mala Mala Game Reserve is famed for its abundance of members of the ‘big five’ as well as the positive impact its tourism has on the local population, and is a great visit. As is the Addo Elephant Park, near Port Elizabeth, which opened in 1931 when there were only 11 elephants in the area, the park now boasts over 600 as well as an array of other mammals! Early mornings and long days out in the bush and grasslands can take their toll. Luckily South Africa’s beaches provide the perfect respite to relax and unwind. A short distance away from Cape Town is a stretch of coastline which is ideal for basking in the sunshine at the same time as indulging that passion for wildlife and nature. Beaches like Plettenburg Bay, Clifton and Camps Bay are ideal for either an active beach holiday or a sedate sojourn. Many of the beaches here offer surfing and you can also spot pods of dolphins and whales just off the Cape Town coast. If the beaches of South Africa don’t take your fancy, why not treat yourself to the ultimate beach safari holiday, and hop on a plane to the island of Mauritius? This small but perfectly formed Indian Ocean idyll provides the perfect backdrop for an adventure in paradise. Look beyond the white beaches and enjoy a walk through the vast forests, home to a wide range of rare animals. A combination of thrilling wildlife sightings and beach relaxation makes safari beach holidays in East and South Africa the perfect mix for everyone. Enjoy the best of both worlds, and see some truly spectacular sights along the way. 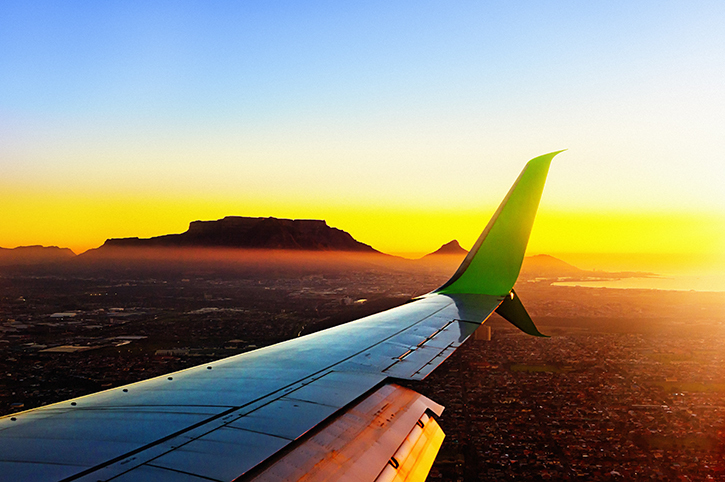 Discover the best South Africa Holidays today. 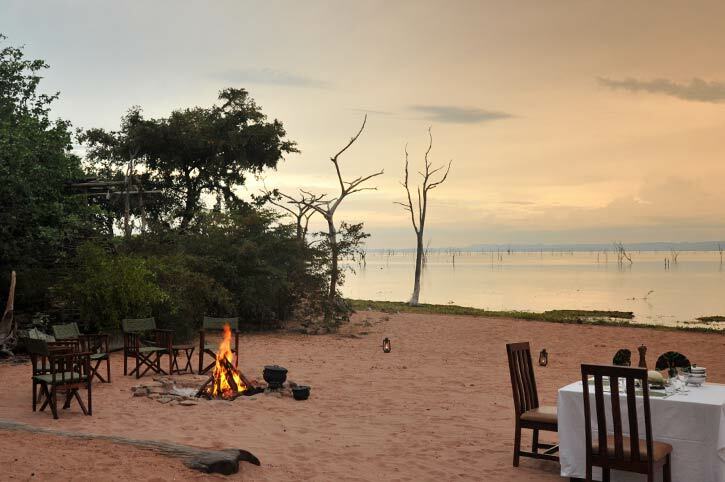 The best way to enjoy Africa is definitely to experience both an adventurous safari as well as a relaxing beach stay. Combine both on our incredible Safari and Beach Africa holidays.